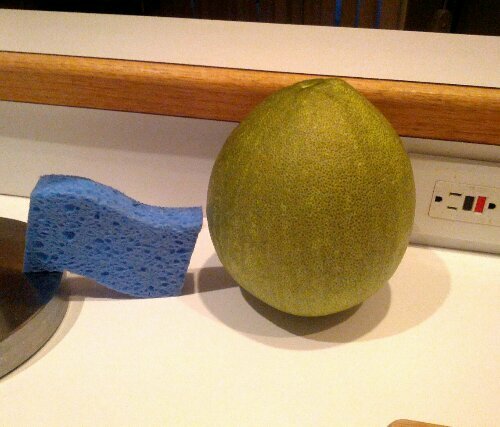 Is this a huge lime? My husband found this while working yesterday and we’re trying to figure out what it is. It was on a tree that was just full of them (we live in Florida)! The people at the residence weren’t home (he stole it!) so he wasn’t able to ask. 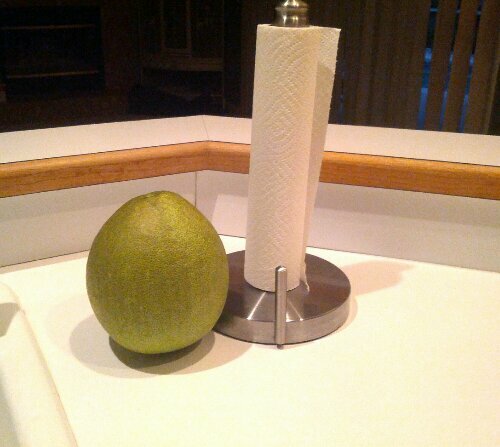 I think it’s a lime but it’s so big! Any ideas? 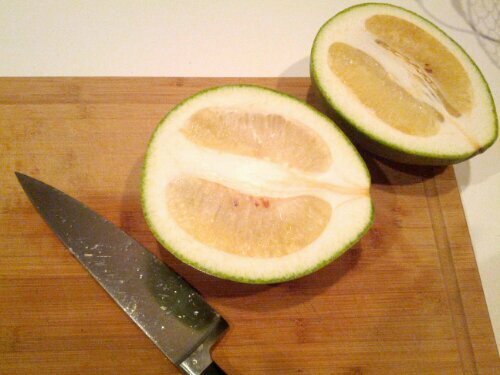 If it is a lime, I don’t think it’s ripe yet. But if it is, I want to turn it into something!! I haven’t tasted it yet… Not sure if whatever it is is something edible!